In his role as construction attorney and law professor, James F. Nagle is author and co-author of several books on government contracts and construction law. However, in addition to his professional writings, Nagle has also published two books on historical topics. 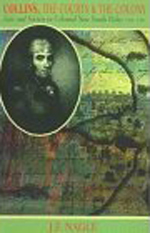 In 1996 he wrote Collins, the Courts & the Colony: Law & Society in Colonial New South Wales 1788-1796. 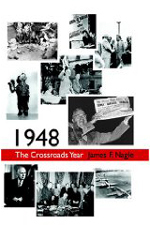 This book was followed by 1948: The Crossroads Year, which Nagle wrote in 2007. Crossroads is a look at how events during that one year have shaped who we are today. Amazon describes the book as a "fascinating exploration of how 1948 changed America - and why. The turning point in the struggle between Western democracy and Eastern absolutism as symbolized by the Soviet Union, 1948 changed the way the world worked and the way America thought. Written in sparkling prose, Nagle brings a you-are-there perspective as he explores how and why Americans decided which bridges to build in their new lives-and which ones they should burn. A perfect book for history aficionados or baby boomers..."